I've been a writer for as long as I can remember. I wrote for the school newspaper in junior high. I spent many hours typing away at my computer, writing history papers in college. I got paid to edit, then write after college. 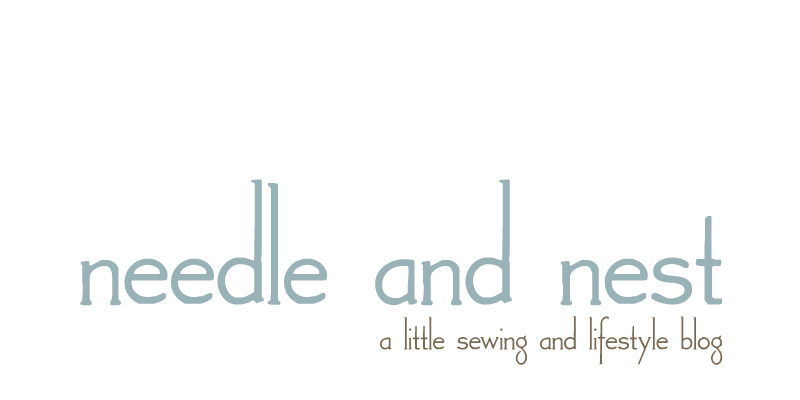 And for the last seven years as a homemaker, I've written for this little blog. But for the first time I can remember, I just don't feel like writing anymore. I'm still sewing. Still quilting. Just not as much as I used to. I'm working on something else these days: raising my Catholic flag and learning to fly it proudly. This isn't the end, I promise. Just a little explanation for my absence. I'll still be around from time to time, and I'm still reading my favorite blogs (though not commenting as much these days). 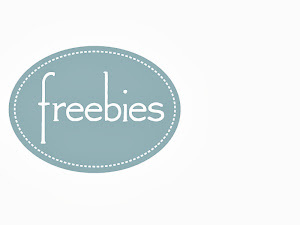 Warm hugs and most sincere thanks to my sweet bloggy friends who've stuck around all these years. You are awesome! 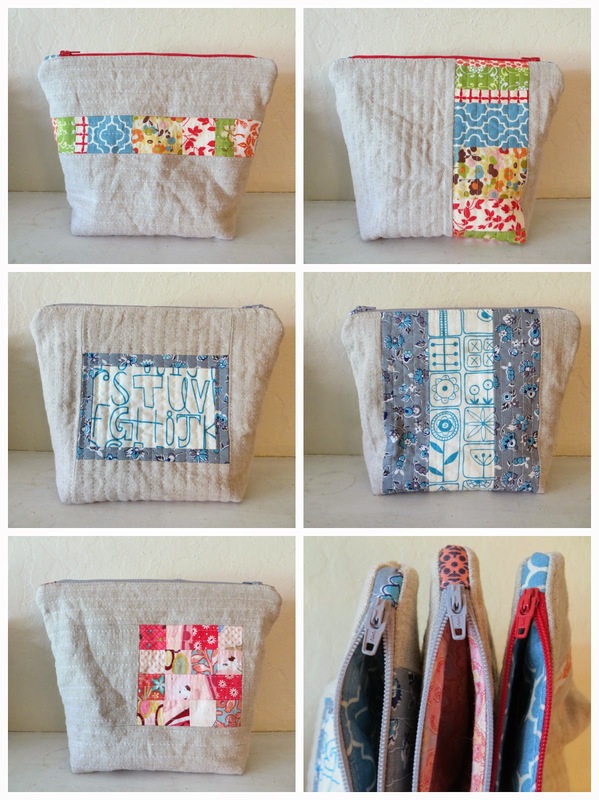 This year's handmade Christmas gifts were all zippered pouches, each one scrappy with a linen background. I love everything about making them, from choosing just the right prints from my scraps to putting them together assembly line style. They're just super fun. A cute little patchwork pouch for my brother-in-law's super-sweet girlfriend. I haven't known M. long, but I took a guess at the kinds of colors she might like and she seemed quite happy with the end result. A pretty alphabet print pouch for Miss C.'s teacher. I love the gray and teal combo on this one. There's a little Summersville in there, as well as some Denyse Schmidt for JoAnn's that I scored late 2013 on clearance. A scrappy block pouch, leftover from my Love quilt. This one was for Master W.'s teacher, whom I know has dogs. See those tiny doggies in the block? I hope she did too! And, um, excuse the lack of a photo of the back of the pouch. I just forgot to take one, I guess... oops! Oh well, how about a photo of the pretty insides instead? Now I'm itching to make one for myself! Ahem... Wow. I didn't realize I'd been so neglectful of this space for so darned long. Oops! Well then, let's get started! Back in September, Miss C. was assigned a Kindness Project, wherein each student explored the topic of kindness and then gave a short presentation on what they learned at the beginning of December. The children were given a lot of freedom in the project. Some chose to interview a firefighter, others did a puppet show, and others volunteered their time at an animal shelter. Miss C. decided to make a baby quilt to donate to a mother in need. We have a wonderful maternity home for women experiencing crisis pregnancies in the local area. After a quick phone call and teacher approval on the idea, she got started. I am so over-the-moon impressed with my girl. 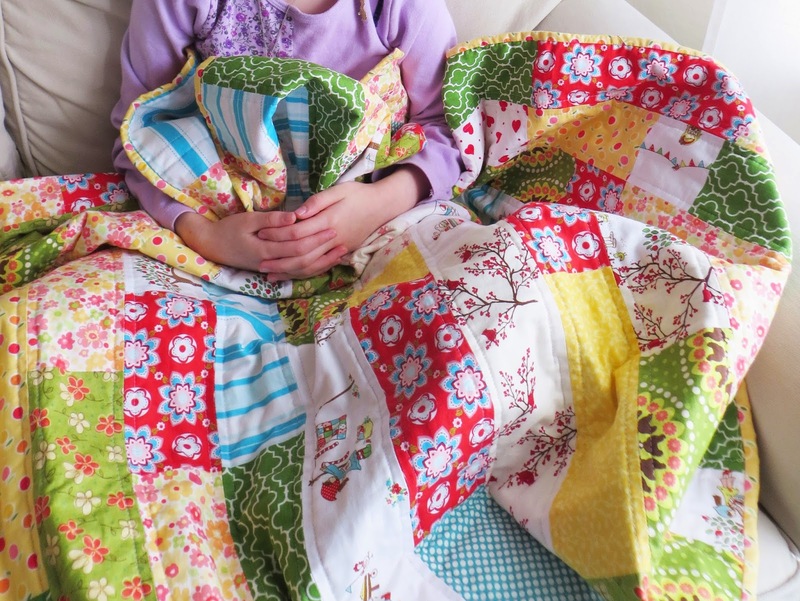 She did nearly every single task associated with the making of this beautiful quilt. She chose the fabrics from my cupboards, arranged the pieces (sorry, no rotary cutting yet for this 7-year-old! ), sewed all the pieces for the top and back, pressed every seam, assisted in pin-basting the quilt sandwich, and did about 1/3 of the machine quilting. I did the binding, as it was a bit beyond the scope of her skills. And then, when all was said and done – and she'd presented the finish quilt to her class – we drove up to the Mother Teresa Maternity Home and she personally delivered it to the beautiful baby girl and her sweet mama. She just radiated joy and tenderness when she was allowed to hold that sweet little newborn baby. I'm amazed by how much of her personal time she devoted to this gift for a baby and mother that she'd never met. Delivering the gift in person really cemented the concept of kindness, and why it's so important to give of ourselves to those in need. I wish I had a bigger picture of the finished quilt! Hopefully this little glimpse of it shows just how bright, cheerful and beautiful it came out. One of the things we started doing this summer was working on our family prayer life. When my mom-in-law was scheduled to go in for surgery, I spotted the perfect opportunity to start family rosary time with the kids. Sounds impressive, but I should tell you that it wasn't until just this year that I started praying the rosary every night. It took me my entire life to learn the rosary... and I'm a life-long Catholic! Line the children up at Miss C.'s bed, everyone kneeling quietly. 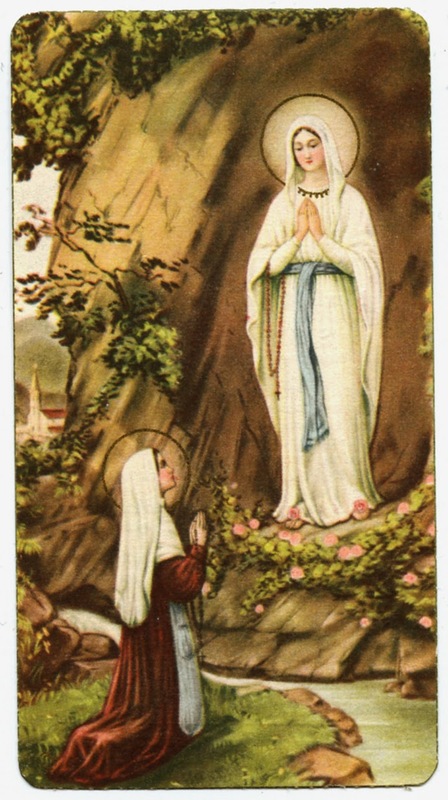 Prayerfully say one decade of the rosary together each day. Pat myself on the back for being Super Mama. Attempt to line up kids in a row at Miss C.'s bed. Stress out internally (and try not to snap at the kids) as Miss C. does a kneel/flop combo over and over, Master W. squirms and whines about having to say even one Hail Mary, and Little Miss C. flops on the bed while snatching rosaries and swinging them wildly about. Pray every night for patience and grace, and thank God when each day gets a little bit easier. Miss C. kneels quietly and starts us with an opening prayer. Master W. kneels quietly and proudly prays the entire decade. Little Miss C. still wildly swings the rosaries sometimes, but mostly seems content to take my extra rosary in and out of our little rosary bags. Success! It's been a great way to help my children develop their relationship with Jesus and I just love that we start each day with a special devotion to the Blessed Mother. 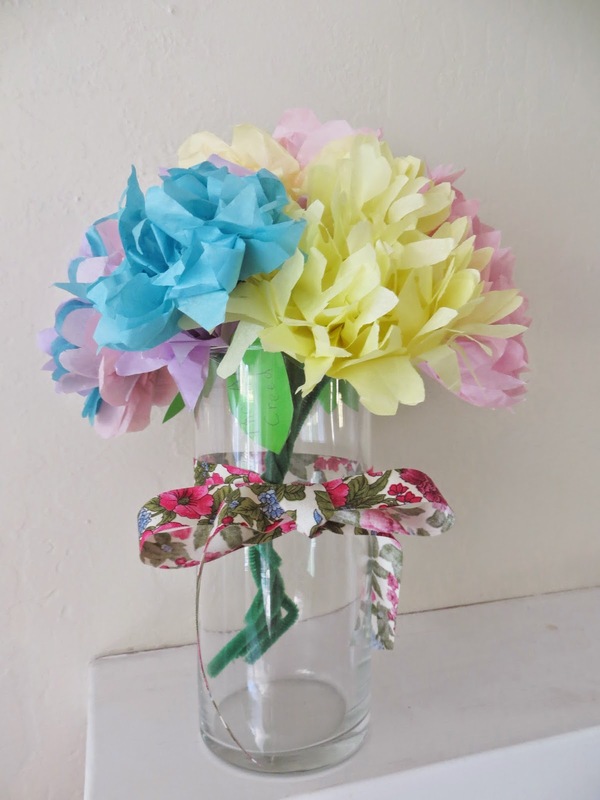 As to our tissue paper flower bouquet, it turned out to be a great project! My original inspiration for the project came from Call Her Happy, where I found a link to some very easy tutorials. 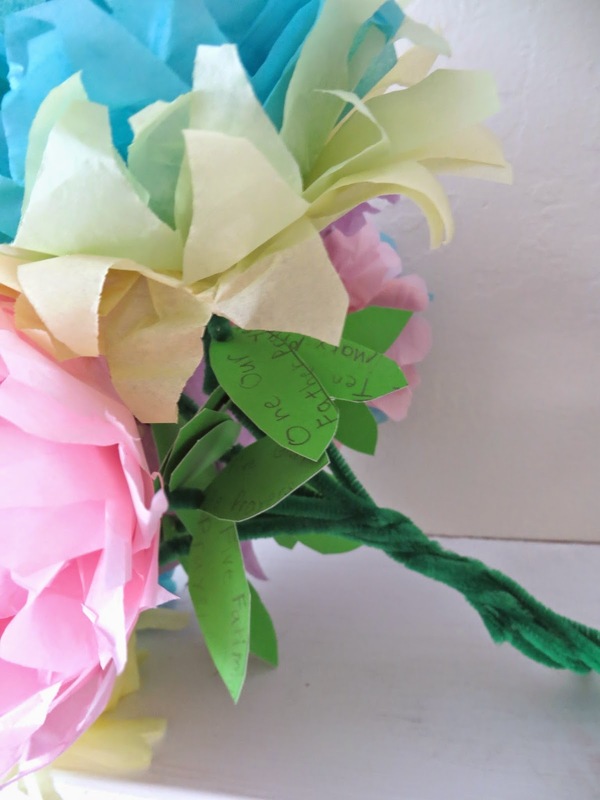 Miss C. wrote each set of prayers on the leaves, arranged the bouquet and picked a ribbon for the vase. My mom-in-law was very touched and still has the bouquet on display in her kitchen several months later. This year, we had a little gray squirrel join us for trick-or-treating. Isn't she just the cutest? Miss C. has a deep love for all things squirrel, so it was no surprise that she wanted to be one this year for Halloween. The costume was pretty easy to put together, thanks to a gray hooded sweatshirt and matching sweatpants found in the boys department at Wal Mart, and a yard of coordinating faux fur from JoAnn's. Sewing the tail and ears mainly consisted of me winging it... and one evening later I had the perfect squirrel costume! This was my only handmade costume this year, since Master W. found all the parts to his Batman costume in our dress-up box and Little Miss C. wore the honeybee costume worn by Miss C. several years back. Maybe next year! I made a startling discovery a few weeks back: I'm a closet jeans hoarder. It all started when my husband needed new jeans for work. The jeans he'd been wearing every day were wearing thin and already had a few holes at the corners of the back pockets. So, we picked up a few new pairs and I promptly rotated the old ones into the closet as back-ups (I think I see now why I have a problem...) and too out the old back-up jeans (three pairs) thinking I should probably toss them since I couldn't imagine thrift stores wanting jeans with holes in them. And then, since I'm easily distracted and can be rather lazy when it comes to cleaning, the old jeans sat in a pile in our bedroom for a week or so. Every day I saw them sitting there, and for some very odd reason I just couldn't bring myself to throw them away. Finally, it hit me: maaaayyyybe I could make a jeans quilt out of them! I knew I had a few more pairs of old jeans in the closet, so I started digging. I found two extremely worn and tattered pairs of mine that had holes in the knees and were completely unwearable. They were hiding on a shelf high up in my side of the closet. Oh, and then there was that pair in my drawer that I never wear because they fit waaay too loosely in the waist. A little more digging in the closet produced another mystery pair of jeans. What's going on here? 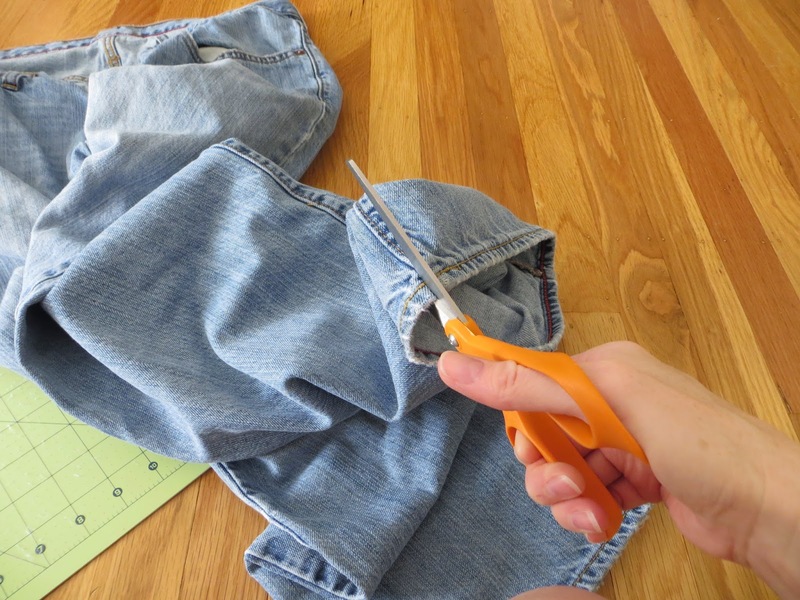 A quick check of my kids' closet revealed two very ratty pairs of little boy jeans, complete with patched knees, and a very old pair of little boy jean shorts. Also too ratty to wear. So, final count (including the original three from my hubby's closet): nine pairs of jeans and one pair of jean shorts. Most completely unwearable. What happened to me? When did I become the crazy jeans lady? Yikes. Well, I figured this was as good a time as any to put my crazy jeans collection to work. I spent about a week cutting each pair at the seams, then carefully rotary cutting denim rectangles to leave as little waste as possible. 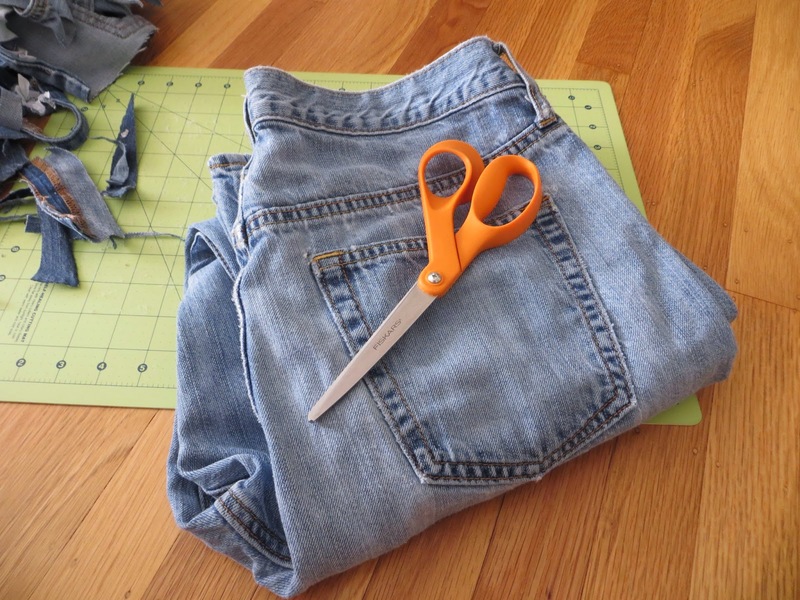 I even figured out that I could squeeze little more denim out of each pair if I cut up the back pockets (most of them had holes at the pockets, so I didn't want to incorporate the entire pocket into the quilt). 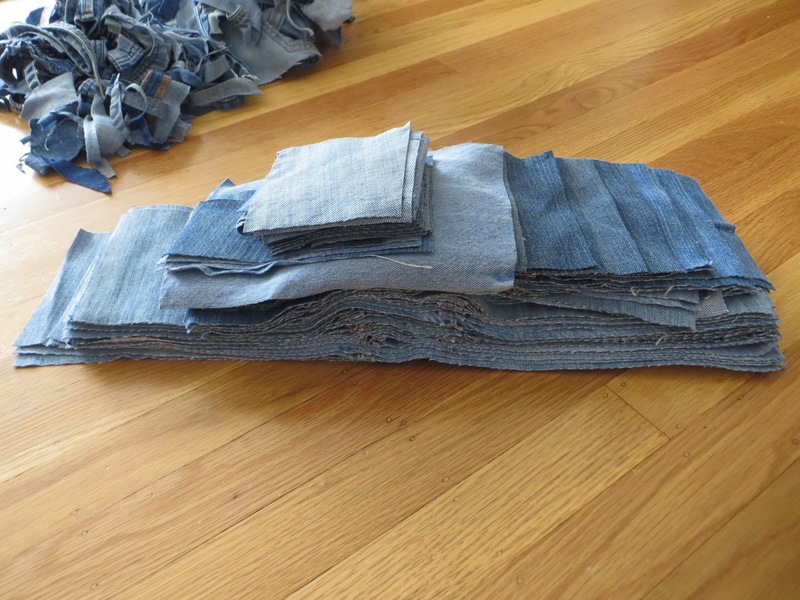 Now that every single pair of jeans has been sliced and diced, I'm left with a hefty stack of denim rectangles. 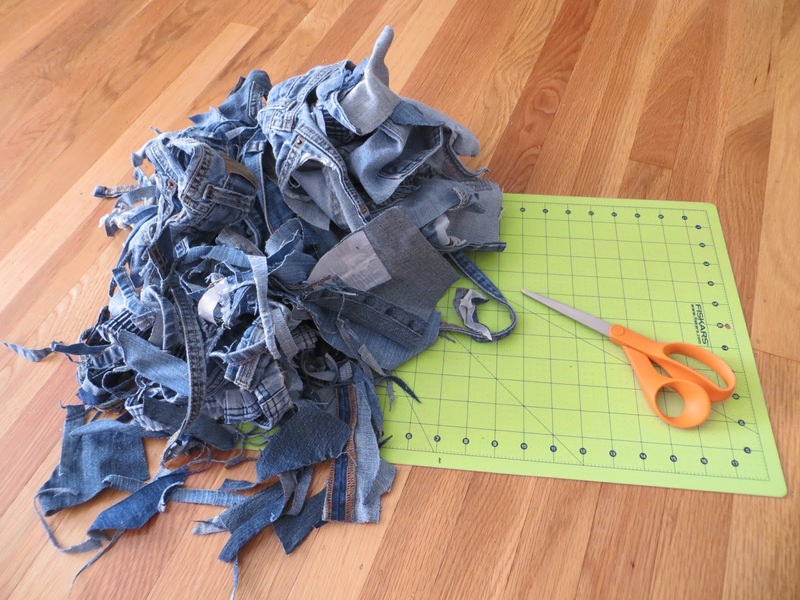 What you see below is able half of what all of those jeans yielded. Next up, I need to pick up a denim needle so I can start piecing them into strips! The plan is to make it into a twin-sized quilt, with a Lightning McQueen sheet that I have in our linen closet (washed, but never used) as the backing. Then, a some light straight line quilting and it will be off to our church's St. Vincent de Paul ministry so they can give it to whoever needs it most. Hopefully, it will help keep some sweet little guy warm this winter.